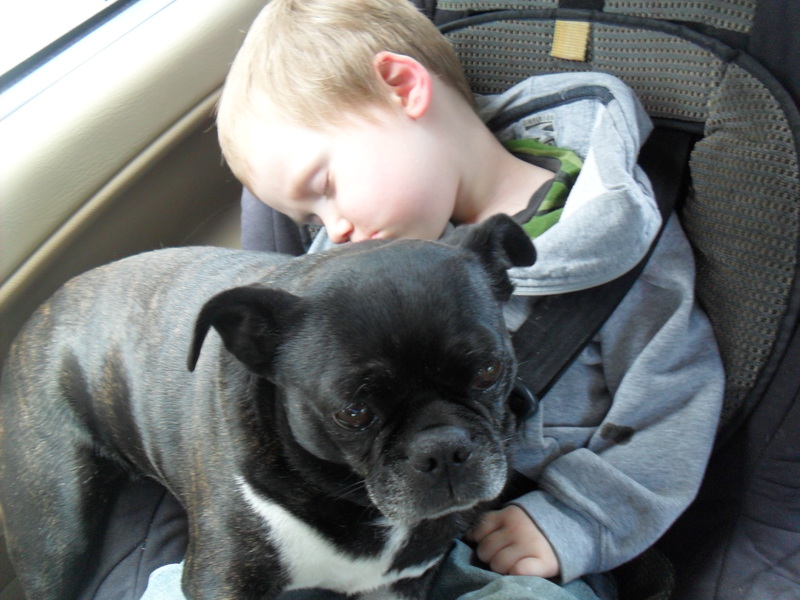 This is why Mara is going with us…the boys sleep much better with her around. On June 18th we’ll drive out of the Pacific Northwest, south to California, over through Arizona and New Mexico, and then to Texas. Once in Texas we’ll spend a few days with Mark’s sister (love you, Kara! ), drop off our goods to be shipped and fly out to Managua. Today we packed up our bedroom furniture. That means that we have a pile of clothes that is taller than Tate on our floor. We’ve manage to pare down quite a bit, but it’s still excessive. Tate said goodbye to one of his best friends today. I got pretty misty eyed. I woke up at 2:30 this morning panicking. I looked at the requirements for bringing a dog into Nicaragua 6 months ago, but I decided to put it on the back burner until we were about a month out. Well, we’re now 12 days out and I still hadn’t done anything about it. Praise Jesus, the USDA office in Tumwater, WA had one appointment still available on the day we needed it. Our meals at home are getting…interesting. Luckily we’ve been invited out many times in the past couple of weeks so we aren’t stuck eating eggs, watermelon and green beans, or any other strange combinations you could think of. So, I guess that’s it. Totally random, yes. But that’s life for us right now. This entry was posted in Moving, Preparation to leave. Bookmark the permalink.